Puerto Rico News is to inform and promote discussion among stateside Puerto Ricans about current events related to Puerto Rico’s economic crisis. 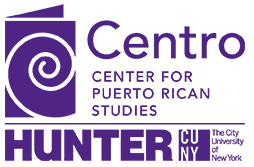 On this page, you will find briefs — written by members of Centro’s Round Table on Puerto Rico — which explore recent developments and policies. You will also find articles and opinions from media outlets across the United States (including Puerto Rico) and have access to resources such as public records, reports, presentations, and other materials related to the island. Puerto Rico Chooses Statehood amid Low Turnout: What’s Next?